For a Kern Valley cruise, start in Bakersfield, California, near the Meadows Field Municipal Airport on the corner of 7th Standard and Airport Dr. Head North through the grassy scenery until there is a Y split about 12 miles out. Go left, you only have one decreasing radius turn, but it's a dangerous one. The first half has very bad road conditions whereas the latter half has great road conditions and is one of the grippiest roads. Other than that Y split, everything else has signs and is pretty obvious. You will finish at Lake Isabella in Wofford Heights. If you want to stay a night in Wofford Heights, the Mount and Lake Hotel is a mile off the lake and offers some of the amenities of an upscale hotel, but in a cozy, intimate setting. Each room is rustic and different and kitchenettes are available. There are great fishing and hiking opportunities. 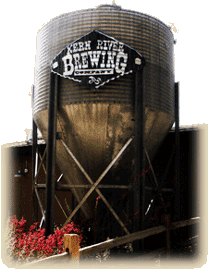 Less than 5 miles from the hotel is the Kern River Brewing Company Brewpub. KRBC is Kernville's first brewpub. This makes KRBC much more than just a restaurant; it's an attraction in itself. Keeping the names of the beer local, they provide a simple yet diverse menu. Kern River Valley residents and visitors alike have found themselves at home. For more information, visit Mount and Lake Hotel and KRBC online.